Home » Blog » We Love Our Interns! Three of the most important things when running a business are fresh ideas, good development and effective results. Internships are generally thought of as a benefit for the intern, however, an intern can bring fresh ideas to the table and show a better way of doing things. When given the right supervision, an intern can learn what is expected of him or her and enhance their education as well as benefit your organization. Their technology knowledge – social media, apps, computer programs, new wave digital design services – they know them all and can keep your company up to date on the latest trends. These young minds have fresh perspective and drive to gain as much knowledge as possible to excel in their future careers. EADS has been very fortunate this summer. 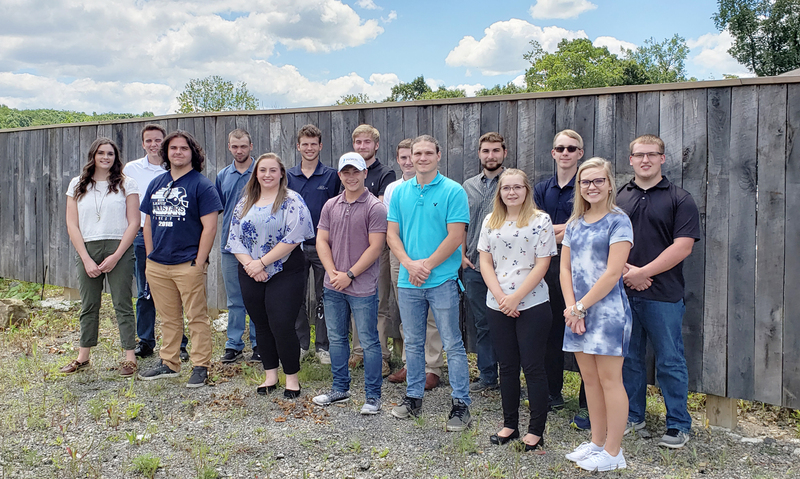 We had 17 extremely bright minds assist our offices over the past few months and we would like to wish them all MUCH success in their futures! We appreciate all you’ve done this summer and look forward to future opportunities to work with you as you pursue your careers. Front Row Left to Right: Rachel Heasley, Benjamin Burk, Jessica Wolfe, Brady Thomas, Austin Danel, Cheyenne Mitchell, Emma Beyer. Back Row Left to Right: John Ciprich, Jonah Lambie, Matthew Reilly, Christopher Szabo, Tyler Mincin, Travis Najjar, Isaac Yahner, Jordan Beyer.